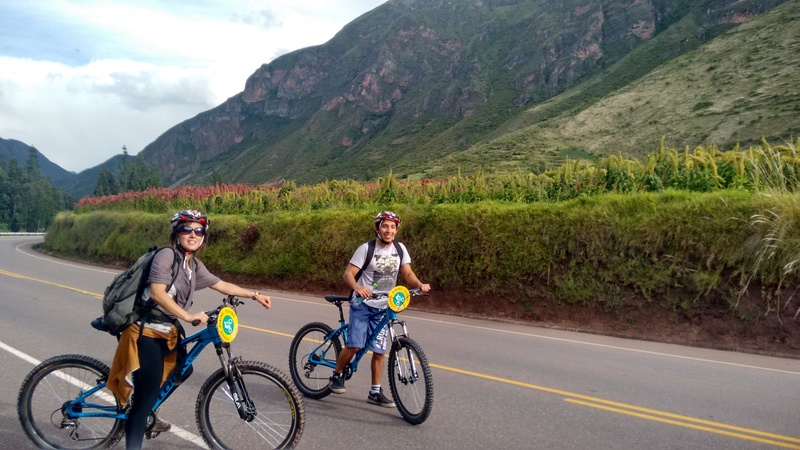 In the morning, your tour guide and driver will meet you at your hotel for your mountain biking adventure through the Sacred Valley. We will provide you with the safety equipment you need before starting the ride. After you reach Chincheros, your bike adventure will start. This is a great tour for most people as the paths are flat and we will take many ‘bike-only’ trails, such as the one that will take you from Chincheros to Moray, where you will visit the Incan circular agricultural terraces. River valleys, glaciers and stunning views, with an occasional ruin along the way will be our stunning scenery for this half-day ride. After your bike adventure your tour guide will take you to the incredible circular terraces of Moray, which were used as an Incan laboratory to acclimatize crops. After lunch we will take you off the beaten path to Maras, a typical Andean village. Here you will explore the streets and get a sense that you are walking during the time of the Incas as the culture has remained almost intact. The people continue to wear traditional clothing and the town is lined with historical buildings. 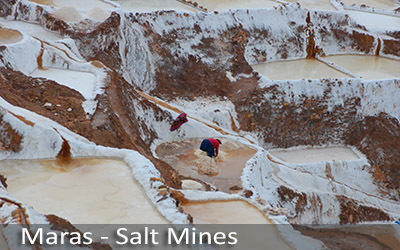 You will then have an opportunity to visit the salt terraces of Maras, to see and learn about an ancient pre-Incan method of producing salt. Finally, you will ride to Pichingato, where your van will be ready to take you back to Cusco.This tour is a bit more exerting than the rest, since a longer distance will be covered by bike. However, our van will be following us all along the tour and will be at your disposal.